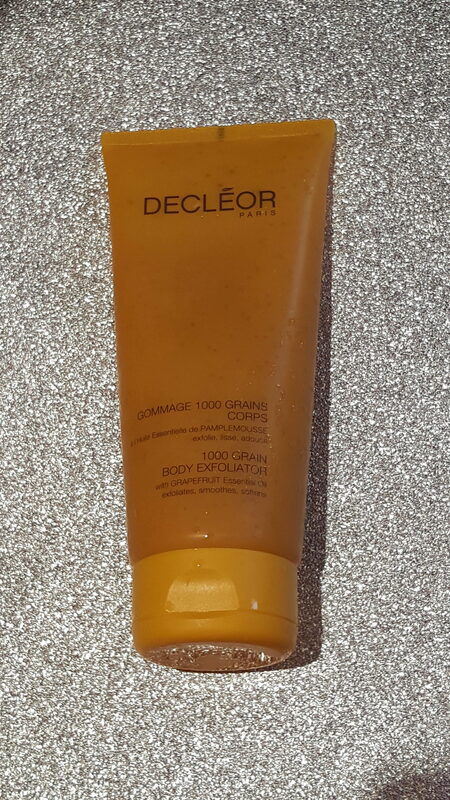 WOW, this morning I used this Decleor 1000 Grain Body Scrub and it was amazing!! Not all products make it on to the Tried and Tested Blog, only the best and this is another firm favorite of mine. It has the strangest consistency of a gel exfoliator that melts into an oil and then turns into a milk and even though it is ”1000 grain”, was not abrasive at all. 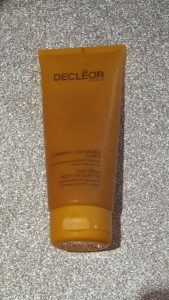 Decleor seem to have a knack of making me mesmerised with their consistency, feel and texture of their products. It has the most up lifting fragrance within the essential oils that had me energised and ready for the day ahead. Shaving after rinsing this exfoliator was a dream. Not sure if it was the oil, but the hubby’s razor (shhhh) just glided and I was left with a real smooth close shave. My skin felt and smelt amazing and was prepped and ready to lather in another amazing product …review to follow.